A geriatrician is a doctor who specializes in care for older individuals.A geriatrician cares for the special needs of aging seniors. Geriatricians’ approach each patient’s needs individually, and possess the knowledge and expertise needed to accommodate seniors. They are typically board certified in Internal Medicine or Family Practice and have additional training in areas pertaining to elder care. They can better address issues such as memory loss, arthritis, osteoporosis, mobility and Alzheimer’s disease. Many seniors believe that the reason they are not feeling well is because they are getting older, this is not always the case. 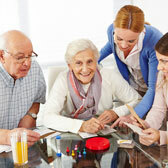 The problems they are experiencing may be related to an illness or injury not at all caused by age. This is why it is important to seek the helpful knowledge of a geriatrician. This type of physician practice far exceeds simply diagnosing a physical problem and treating it. 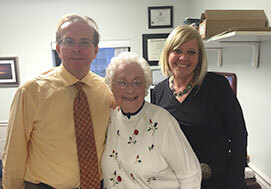 Geriatricians collect information about patients’ lifestyles, community, family, and their entire medical history.